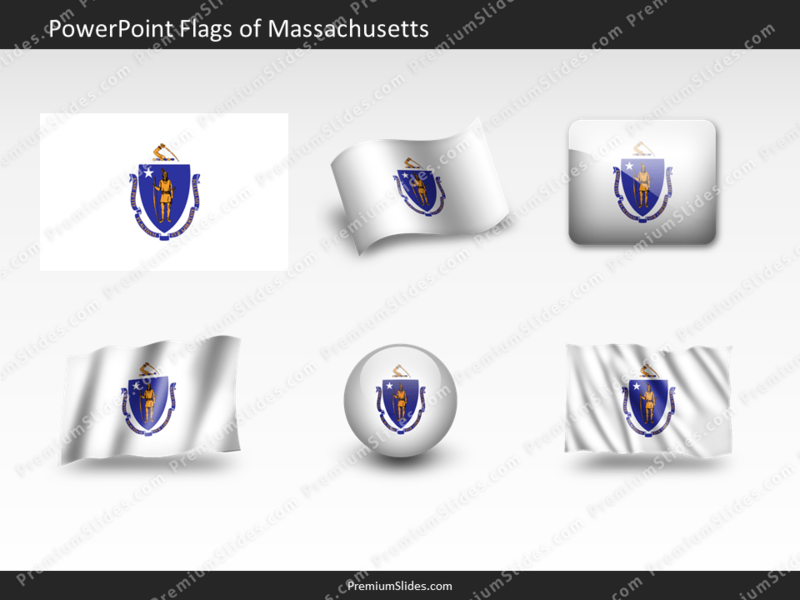 Download this free Massachusetts Flag PowerPoint template for your presentation. Six different flag versions are included. Please select your license and download slides immediately. Download this free Massachusetts Flag PowerPoint template for your presentation. Six different flag versions are included. Just copy and paste the desired flag in your company slides. Easy resizable for any purpose.